Yayoi Kusama will create her first permanent UK installation, titled Infinite Accumulation, for the new Crossrail station at Liverpool Street. 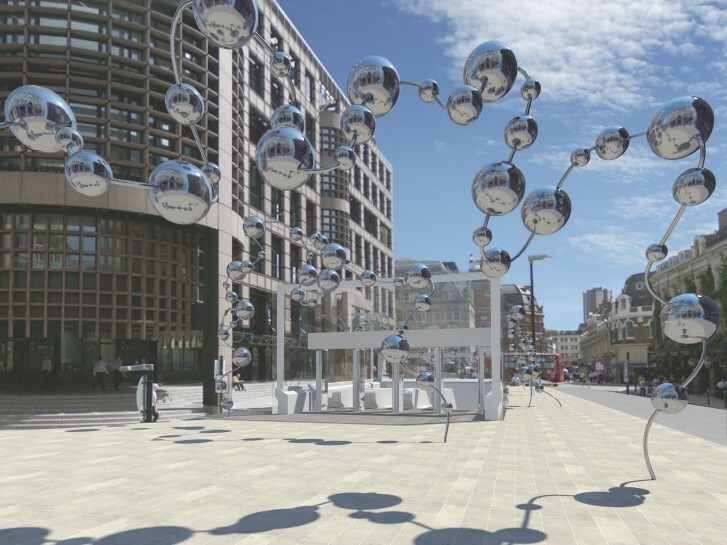 The site-specific work develops her instantly recognisable motif - the polka dot - into a series of flowing, mirrored steel sculptures, each up to 12 metres wide and 10 metres tall. Undulating tubular rods will support a sequence of highly polished spheres, guiding passengers from the public spaces outside the station into the eastern entrance of the Elizabeth line station at Liverpool Street. Artists' maquettes, sketches and prototypes are unveiled at the Whitechapel Gallery exhibition, Art Capital: Art for the Elizabeth line (13 March - 6 May 2018).